The Grove Team would like to extend our appreciation to Jonathan Kobler at AF Insurance. The team at AF Insurance offer unsurpassed service and coverage for clients. For all of your insurance needs and questions, call on the guys at AF Insurance! 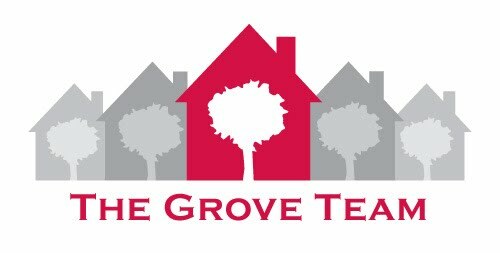 For all of your real estate needs and questions call on the Grove Team, (817) 337-0000 or online, www.groveteam.com. Will Filing A Claim Cause My Insurance Premium To Go Up? I like to be as candid and honest with customers as possible. Some agents would just say, “That’s not my area of expertise,” but I like to give people an answer that will actually answer their question. The answer is that filing a claim will NOT cause your homeowner’s premium to increase. Contrary to popular belief, they associate having one claim filed with their rates going up. The fact is that claims don’t dictate the premium with regards to homeowner’s insurance. Homeowner’s insurance does not act like auto insurance. Auto insurance has dozens, sometimes hundreds of tiers for premium rates. Your claim history, citation record, points on your license, and various other things contribute to the tier that you are placed in and the premium you pay for your auto insurance. Homeowner’s insurance focuses more on the region that you live in. The number of catastrophes your area has suffered in the past few years, the potential risk in your area, the type of residential home, and the type of coverage you buy, and other factors are what dictate the bulk of your premium. Filing one claim will not spike your premium. Now, your premium may go up in the subsequent year, but do not put two and two together. The premiums are usually raised in bulk for a given region, not individually, and insurance companies can only submit rate increases to the state once per year. So, if you have a loss with significant damage (and the damage is substantially higher than your deductible) the right thing to do is file the claim. After all, you’re paying a premium every year, why not use your insurance for what it’s designed to do? With new carpet, tile, & fresh paint, this spacious home has the look & feel of new without the sticker shock. The 3 bedroom home boasts a study & an open split-bedroom plan. The welcoming kitchen is open to the family room. You could make the flex room a formal dining room or game room-you decide. The private master suite features a garden tub & large walk-in closet. The family-friendly community includes pools, parks, & playgrounds. See it now! Call the Grove Team, (817) 337-0000 for your private showing today! The Grove Team would like to extend a special THANK YOU to Bill Adocock for his contribution to today's blog. This is great information about interest rates and how they affect the home buying process. For more information about mortgage loans, rates, and the home buying process contact the Grove Team, (817) 337-0000 or reach out to Bill - his contact is below! Four major institutions project rates: The National Association of Realtors (NAR), Fannie Mae, Freddie Mac and PMI. Here is what each is seeing in the next year. If you have customers looking to buy a house and are waiting to see what will happen with prices, remind them that interest rates will also impact their housing cost. Jump in - the water's great! Enjoy your own heated diving pool in the serene setting of this private backyard retreat. Highlights include an attached spa, covered patio, and extensive landscaping. Situated on an oversized lot (over a quarter-acre), the yard is shaded from the Texas sun by mature trees. A sprinkler system makes watering a breeze. Inside, the versatile four bedroom, three bath floor plan invites entertaining family and friends. Take advantage of the flow from living area to kitchen and breakfast nook to dining room to entertain any size group. The breakfast nook, living area, and master bedroom are highlighted by a view of the sparkling aqua pool. The cook's kitchen boasts a smooth-top range, built-in microwave, and granite counter tops. After great family times, the comfortable master suite offers privacy and relaxation. The generous master bath provides dual vanities, a garden tub, separate shower, and walk-in closets. The secondary bedrooms are spacious as well and plenty of closet and storage space is provided throughout the home. Tile flooring throughout offer beauty as well as durability. Located in popular Lake Country Estates, the home’s close proximity to Eagle Mountain Lake means quick access to water activities! Make this home yours today! Thank you for your confidence in Diane Jones and the Grove Team in assisting with your new home in Kingsridge. Are you or someone you know thinking of buying or selling? Call us on the Grove Team, (817) 337-0000 for all of your real estate needs. Here at the Grove Team we are SO excited to welcome the Page Family to north Texas. Thank you for your confidence in the Grove Team. Grove Team - RED DAY Success! Thursday, May 12th the Grove Team participated in the Keller Williams RED DAY. What an amazing experience and success it was! This year, our office collected food for the Grace Food Pantry. Grace serves families here in our surrounding communities. A special THANK YOU to all that particiapted and helped us give back to our community. Visit our Facebook page for additional photos of the days events. It is important to know that you have options and choices when you work with with the Grove Team. Part of our personalized service includes a customized home selling program specifically designed to meet your needs. Your financial desires, your target moving date, and other personal factors are all taken into account when pricing and marketing your home. Call us or visit the Grove Team website to learn about the difference we can make. (ARA) - Make room for family: Whether finishing basements or updating bathrooms, Americans are making home improvements to accommodate more family members moving into their homes. A combination of hard times and an aging population increased the number of U.S. households with multiple generations living under one roof, according to AARP. In 2010, 7.1 million U.S. households - or 6.1 percent of homes - were multigenerational. Compare that to 2000, when just 5 million households were multigenerational. "Whether you're caring for an aging parent or making room for adult children, grandchildren or other relatives, completing practical remodeling projects can add living space, help reduce home maintenance time and save energy," says Kathy Krafka Harkema, spokesperson for Pella Corporation. Considering remodeling? Check out the hottest small-project remodeling trends for 2011, from the National Association of the Remodeling Industry (NARI). As you're planning, incorporate universal design principles to help make your home safer and more functional. Updating bathrooms? Add slip-resistant surfaces to minimize potential falls in bathtubs and showers. Walk-in showers and safety bars are also smart choices. Paint is an easy upgrade. According to Buzzle.com, one great bathroom paint idea is to use brighter colors like lime green, citrus yellow, butterscotch yellow or cream to create the illusion of space and make a small bathroom look larger. As they update their homes, consumers are fixing problems, like replacing broken hardware and glass on windows and doors. For safety's sake, make sure your windows and doors are not jammed, painted or nailed shut. If they are, it could be time to replace them. "Pella offers energy-efficient windows and doors with cordless blinds or shades between-the-glass that are easy to operate and safer for homes with children and pets," Krafka Harkema says. "Plus, since the optional blinds or shades are between glass, they don't need cleaning." Staying home more? Spending more time in the yard? Creating a new patio area off a kitchen or dining room can add space for entertaining. Install energy-efficient sliding or hinged patio doors, like the Pella 350 Series vinyl patio doors, to help save energy and create beautiful views. Today's consumers are more diligent about choosing the right contractor for the specific job they need done, NARI reports. Ask for referrals for a reputable licensed, bonded, insured contractor and check credentials. As you remodel, consider removing interior walls to create extra space in high-traffic areas like kitchens or bathrooms. Add 36-inch doors to make it easier to move about your home. Choose bronze finishes like oil-rubbed bronze, when replacing missing or broken hardware on windows or doors. Bronze is also popular in bedrooms, home offices and kitchens. Replace small knobs or round pulls on doors, drawers or cabinets with levers and larger pulls that are easier for arthritic hands to operate. Now's the time to replace your home's drafty single-paned windows with more energy-efficient wood, vinyl or fiberglass windows. "Many U.S. homes still have energy-wasting single-paned windows," Krafka Harkema says. "Replacing them with more energy-efficient ENERGY STAR-qualified windows helps save energy and add comfort to your home." You may be able to claim a U.S. energy-efficiency tax credit from $200 to $500 on certain ENERGY STAR-qualified windows and doors installed in 2011. Check Pella.com/taxcredits for details. Whether you're making room for your parents or welcoming home a college graduate, home remodeling is a sensible investment in today's economy. Be sure your home update features comfortable, practical, universal and energy-saving improvements. Are you in need of larger space for your multigenerational household? Contact the Grove Team today for all of your home buying and selling needs. (817) 337-0000 or find us online, www.groveteam.com. It is that time of year again for the Appraisal District to begin mailing notices for updated property valuations. Most notices will be mailed this first week in May. Should you receive an updated notice and feel your property has been over valued for the purposes of taxes, call the Grove Team. We will assist you through the process of protesting the value. This is of course a service we offer FREE to you, your family and friends. Situated in prestigious Rustic Woods Addition of Bedford, on a sizable cul-de-sac lot, this is a home for a lifetime. From the mature, manicured landscaping, to its immaculate condition, this welcoming home provides comfort as well as beauty. The four-bedroom plan features two living areas and two dining areas downstairs as well as an upstairs game room—great for entertaining. The well-appointed kitchen includes granite countertops, island, built-in appliances (including double ovens), stainless steel sink, and ample cabinet and counter space—features that even the most demanding cook appreciate. Generously-sized rooms provide plenty of space for oversized furniture. The luxurious master suite offers relaxation and room for a sitting area. Amenities extend to the adjoining bath with its jetted tub, separate shower, and recent tile. Step out back to take in the beauty of the sparkling pool with a backdrop of lush landscaping. Call us directly to schedule your private showing of this home! Are you considering a career in real estate? At Keller Williams we believe in pursuing careers worth having, businesses worth owning, and lives worth living. Today, Keller Williams Realty stands as the second largest real estate franchise company in the United States, with nearly 700 market centers in North America. What does all of this mean? At Keller Williams, the perspective is that real estate is a local business driven by individual associates and their presence within their communities. It is a deep conviction that the agent, not the company, is the brand - and that the company's primary role is to help agents build their own businesses. This goes beyond simply selling real estate. 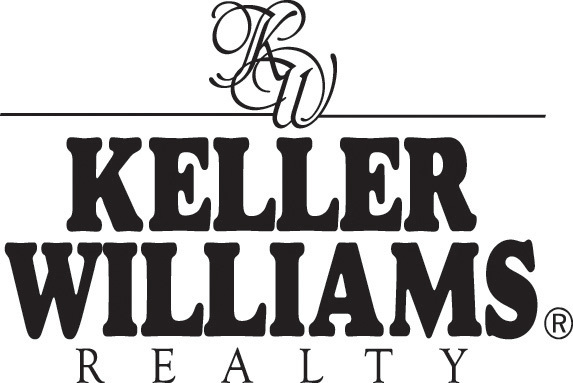 At Keller Williams it is important to grow our business with quality agents. Quality agents like you! Give us a call at the Grove Team to tell you more about this exciting adventure, (817) 337-0000. We would appreciate an opportunity to schedule a confidential meeting with our team leader to begin your journey toward a career worth having and a business worth owning.